The moment you decide you need a rifle, you get bombarded with the enormous array of choices of calibers available in the market. For whatever purpose you want to use the rifle for — self-defense, hunting, target practice or military — there are numerous options of cartridges to choose from. When it comes to hunting, you will easily find yourself in a major conflict — whether to choose the .270 or the .308, an ever going argument and an evergreen hot topic of discussion among shooters. Choosing the right cartridge is vital since your rifle will be customized to hold the same, and your ability to shoot will depend on it. Both, .270 and .308, have a long-standing reputation for their performance and have a loyal base of customers, including staunch loyalists as well as flexible ones who are willing to try newer variations of cartridges. If you are looking to add a rifle to your collection for hunting purposes and are also under dilemma about deciding between the .270 and .308, read on to know what makes them different and which one has aspects better suited for your requirements. Introduced in 1925 by the firearms giant Winchester Repeating Arms Company, the .270 Win was designed primarily for hunting purposes. It takes after the famous .30-13 cartridge. The .30-13 was also the parent case for .30-06 Springfield. The .270 features a bullet diameter of 7 mm while a base diameter of 11.9 mm. The overall length of the cartridge is about 3.3 inches, while the case length is 2.5 inches and a lot longer than the .308 Win. The cartridge gained universal base due to the writings of the prominent firearms writer Jack O’Connor. The .270 Win was revolutionary because it could be used for multiple hunting needs. It can shoot short and as well long ranges, and small as well as bulky targets due to the weight of the bullets it carries. The weight ranges from 120 to 160 grains, and the trajectory is almost flat due to long bullets and more case capacity which helps it in gaining more velocity. The ammo used for .270 is easily available in almost every store due to its widespread usage, most popular being by Hornady and Federal Premium. Introduced in 1952 in the U.S, the .308 Winchester was primarily designed for the military and saw it being used to derive the 7.62x51 NATO which was used for a short while during the Vietnam War in the M14. The .308 Winchester has since been used for ordinary purposes like hunting and target shooting. It features a bullet diameter of 7.8 mm and a base diameter of 11.9 mm, same as that of .270. The overall length of the cartridge is shorter at 2.8 inches while the case length is about 2 inches. 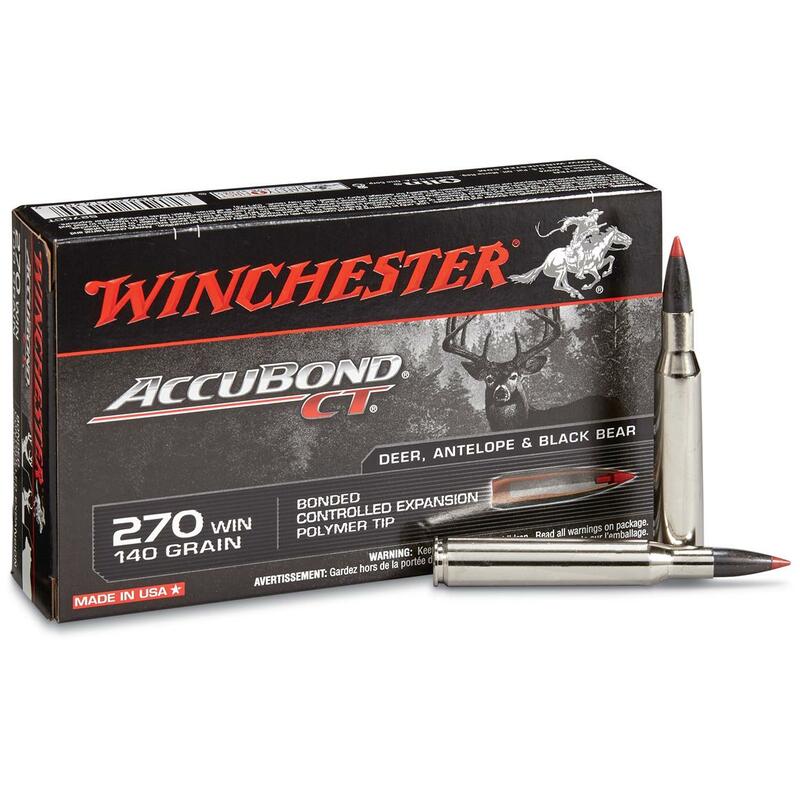 The shorter case length makes the cartridges fall under the category of short action calibers. It can take projectiles in the range of 125 to 180 grains, and even beyond. The heavier weight is what makes it so deadly and widely popular among hunters since it has more penetration and can do more damage. Due to its wide usage, the ammo for the .308 Winchester is also commonly available in the ammunition stores everywhere, the most popular ammo for the cartridge being Nosler Ballistic Tip, Federal Premium, etc. One has its origins in the military while the other was manufactured for hunting. However, time saw both these long-standing cartridges in the same arena and with a huge respective loyal user base. To know what sets them apart, let’s check out how they compare against each other in terms of ballistics, recoil, penetration, shooting accuracy, price and more. Ordinarily, the .308 bullets are heavier than the .270 ones, ranging as high 180 grains as compared to 160 grains for the .270. Although, there are some ammo manufacturers that do make heavier bullets for the .270, the most recognized and tested ones are the lighter projectiles. If you are targeting a large kill over a long range, about 400 yards, the .308 perform better due to higher stopping power due to a heavier projectile. The stopping power of the .270 is lesser to a lighter bullet. The .270 as well as the .308, both have the capacity to deliver 1000 pounds of pressure at a distance of 400 yards. However, if you are aiming for a longer distance, you might want to give the edge to .270 since it has a higher velocity due to a lighter and longer bullet, along with a flat trajectory. Therefore, both of these cartridges have their work cut out. If you are aiming at a large target, like a bear, within 300-400 yards, you opt for the .308 Win due to higher stopping power. But, if you are aiming for longer ranges and a small to medium-size target, you go for the .270 since the higher case capacity makes for more muzzle velocity and a flat course. When you are using a rifle for hunting, understanding the recoil is absolutely crucial since it can make or break your game. The lesser the recoil, the lesser time it takes to reacquire the target. Especially with the inexperienced shooters, it’s important to choose the ammo with lower recoil for a better target. There isn’t a very significant difference between the .270 Winchester and .308 Winchester when it comes to recoil. You’ll feel the kick with both of them, essentially. In fact, .270 has a sharper kick than the .308. Yet, the .308 has more recoil due to a heavier bullet, especially the 180 grains projectile, which also has higher muzzle velocity. Neither of the cartridges, though, has a recoil that might make you drop your gun from the force. For the experienced shooters, it will be a normal level. To be on the safer side, if you are a beginner shooter, choose a bullet with the lightest caliber so that the recoil is also lesser. The penetration of a bullet depends on its sectional density, the design as well as the velocity. More the sectional density, the deeper the bullet will penetrate. Different bullet weights and types will have different penetration capacities. For a 150 grain projectile used in .270, the penetration is deeper due to a small bullet diameter which helps in focusing the force on a smaller area and hence exert itself more. The bullet diameter for the .308 is about 0.3 inches while that of the .270 is about 0.277 inches. On an average, though, the .308s usually have more penetration since it uses heavier bullets which have more sectional density. While shooting accuracy is essentially in the hands of the shooter, the ammo used definitely reflects on the aim. Since the .270 uses lighter and longer bullets that help in creating a flatter trajectory, the accuracy of shooting beyond 400 yards range is more for .270 than .308. However, the .308 is not really far behind. Within the 500 yards range, there will essentially be no difference in the accuracy offered by either cartridge and will depend on your experience and aim. Due to a lighter recoil, the .270 does have an edge when it comes to better and stable target shooting. However, it also has a sharper kick, and there isn’t much difference in the recoil by .308. So, the shooting accuracy largely depends on how well you handle the gun. The bullets for the .308 tend to be heavier than the ones for .270. Typically, the bullets for .308 Winchester range between 125 to 180 grains, while the ones for .270 Winchester range in the 120 to 160 grains. Depending on your purpose and the range of your hunting, some of the best and most popular rounds for the .270 include Remington Core-Lokt 150 and 130 grain, Hornady 150 grains, Winchester Super-X Power Point 130 and 150 grains and the Federal Premium 140 grains. If you are looking for a heavier bullet for .270, the Federal Vital-Shok Nosler Partition 150 grains is a great option due to its heavier size that is suitable for taking down larger targets as well. For the .308 Winchester, the most popular round used in hunting is the Nosler Ballistic Tip 165 grains, which has the capacity to take the medium as well as large targets due to a higher caliber. It does more damage due to the expansion of the bullet on hitting the target. For more long range shooting, the Hornady 168 grains is also a widely used ammo for .308. Others include Remington Core-Lokt in 150 and 180 grains, Federal Premium in 168 and 175 grains. .270 Winchester and .308 Winchester, both are popular enough to have their ammo widely and easily available in the market. The price varies according to the manufacturer as well as the availability, yet, there isn’t too wide a difference in the prices. On an average, the prices for the .308 will be more than those of .270s. 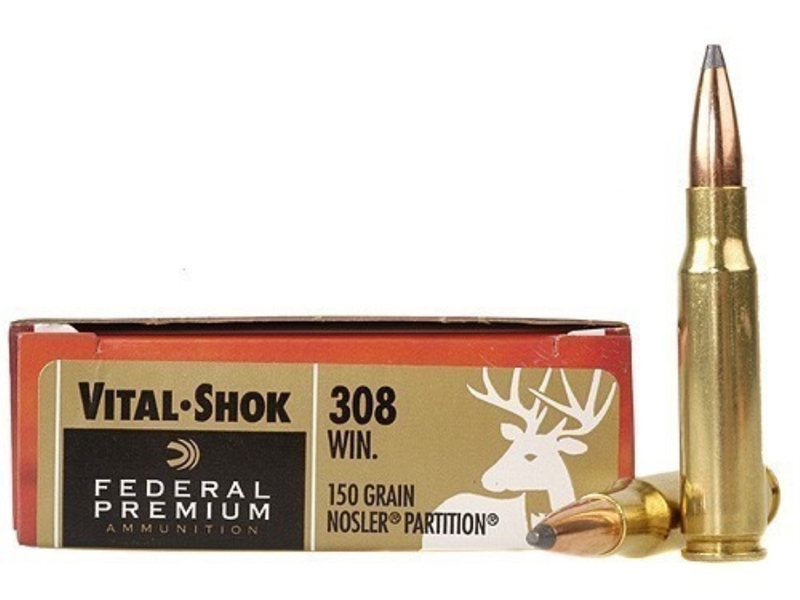 A case of Federal Vital-Shok Ballistic Tip 150 grains for .308 will cost you about $31.79, while a case of Federal Vital-Shok Nosler Partition 150 grains for the .270 will cost you about $20.49. 20 rounds of Federal Sierra GameKing BTSP 150 grains for the .270, on the other hand, will cost you $30.99, while a case of Winchester Super-X 180 grains will set you back by $21.99. The price varies according to the brand, the weight of the bullet and a lot of other factors. The difference isn’t wide enough to tilt your decision in either ammo’s favor, therefore, go for the one that suits your requirements the best. Both the cartridges are a great choice in terms of hunting rounds. It’s not a black and white area where you can simply say one outperforms the other since both of them have their own distinct characteristics as well as similarities with each other. When it comes to hitting within 300-400 yards at a medium-sized target, both .270 and .308 stand equal since the force produced is almost the same and both have the required stopping power. For targets beyond that range, the .270 has an edge due to the lighter bullets that have a flat trajectory and higher velocity. For smaller targets as well the .270 should hold a preference since the .308 uses heavy bullets and its stopping power and penetration is too high for a small game. The best option would be to be flexible enough to use both in specific situations. Take your pick according to your purposes. If you are a beginner at hunting and are looking for shooting smaller targets, .270 should be your choice. However, if you are seasoned shooter looking to shoot larger games, .308 might be more suitable for you.